In Great Britain, midwives deliver half of all babies, including Kate Middleton’s first two children, Prince George and Princess Charlotte. In Sweden, Norway and France, midwives oversee most expectant and new mothers, enabling obstetricians to concentrate on high-risk births. In Canada and New Zealand, midwives are so highly valued that they’re brought in to manage complex cases that need special attention. Many of the states characterized by poor health outcomes and hostility to midwives also have large black populations, raising the possibility that greater use of midwives could reduce racial disparities in maternity care. 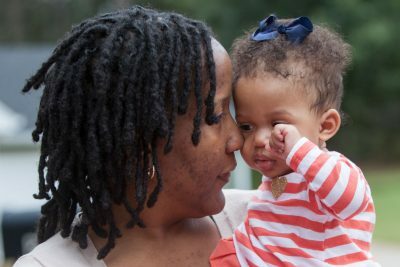 Black mothers are three to four times more likely to die in pregnancy or childbirth than their white counterparts; black babies are 49 percent more likely to be born prematurely and twice as likely to perish before their first birthdays. “In communities that are most at risk for adverse outcomes, increased access to midwives who can work as part of the health care system may improve both outcomes and the mothers’ experience,” Vedam said. The differences between state laws can be stark. In Washington, which has some of the highest rankings on measures such as C-sections, premature births, infant mortality and breastfeeding, midwives don’t need nursing degrees to be licensed. They often collaborate closely with OB-GYNs, and can generally transfer care to hospitals smoothly when risks to the mother or baby emerge. They sit on the state’s perinatal advisory committee, are actively involved in shaping health policy and receive Medicaid reimbursement even for home births. At the other end of the spectrum, North Carolina not only requires midwives to be registered nurses, but it also requires them to have a physician sign off on their application to the state for approval to practice. North Carolina scores considerably worse than Washington on indices such as low-birthweight babies and neonatal deaths. Neel Shah, an assistant professor at Harvard Medical School and a leader in the movement to reduce unnecessary C-sections, praised the study as “a remarkable paper — novel, ambitious, and provocative.” He said licensed midwives could be used to solve shortages of maternity care that disproportionately affect rural and low-income mothers, many of them women of color. “Growing our workforce, including both midwives and obstetricians, and then ensuring we have a regulatory environment that facilitates integrated, team-based care are key parts of the solution,” he said. To be sure, many other factors influence maternal and infant outcomes in the states, including access to preventive care and Medicaid; rates of chronic disease such as diabetes and high blood pressure; and prevalence of opioid addiction. And the study doesn’t conclude that more access to midwives directly leads to better outcomes, or vice versa. Indeed, South Dakota, which ranks third from the bottom in terms of midwife-friendliness, scores well on such key indicators as C-sections and preterm births. Even North Carolina is average on C-section rates, breastfeeding and prematurity. The findings are unlikely to quell the controversies over home births, which are almost always handled by midwives and comprise a tiny but growing percentage of deliveries in the U.S., or fears among doctors and hospitals that closer collaborations with midwives will raise malpractice insurance rates. 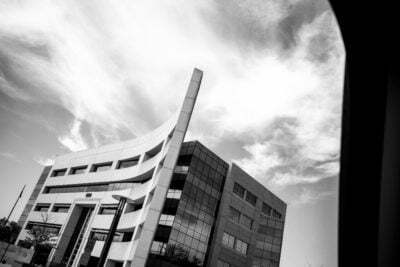 In fact, said Ann Geisler, who runs the Florida-based Southern Cross Insurance Solutions, which specializes in insuring midwives, her clients’ premiums tend to be just one-tenth of premiums for an OB-GYN because their model of care eschews unnecessary interventions or technology. Far from being medical renegades, the vast majority of midwives want to be integrated into the medical system, she said. Generally, licensed midwives only treat low-risk women, Geisler said. If the patients become higher risk, midwives are supposed to transfer them to a doctor’s care. Since many OB-GYNs only see midwife patients when a problem emerges, they may develop negative views of midwives’ skills, she said. The benefits of midwifery come as no surprise to maternal health advocates. 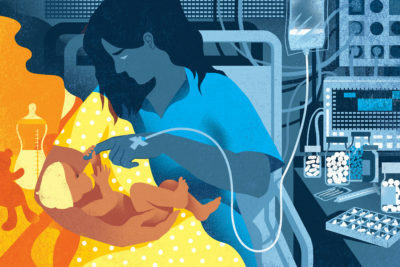 In 2014, the medical journal Lancet concluded that integrating midwives into health care systems could prevent more than 80 percent of maternal and newborn deaths worldwide — in low-resource countries that lack doctors and hospitals, by filling dangerous gaps in obstetric services; in high-resource countries, by preventing overuse of medical technologies such as unnecessary C-sections that can lead to severe complications. A review by the Cochrane group, an international consortium that examines research to establish best practices in medical care, found that midwives are associated with lower rates of episiotomies, births involving instruments such as forceps and miscarriages. While widely accepted in Europe, midwives in the U.S. have been at the center of a long-running culture war that encompasses gender, race, class, economic competition, professional and personal autonomy, risk versus safety, and philosophical differences about birth itself. Midwives were valued members of their communities until the late 19th century, when medicine became professionalized and doctors’ groups began pushing for a monopoly over obstetric care. Physicians argued that birth was a “pathologic” process that required scientific knowledge and hospital equipment, and they vilified midwives — who were mostly immigrants or, in the South, blacks commonly known as “grannies”— as dangerously uneducated for insisting that birth was a natural (“physiological”) function. In 1915, Joseph DeLee of Chicago, the most influential OB-GYN of his day, called midwives “relics of barbarism” and “a drag upon the science and the art of obstetrics,” while one North Carolina doctor dismissed black midwives as having “fingers full of dirt” and “brains full of arrogance and superstition.” By the 1950s, the vast majority of women gave birth in hospitals, attended by doctors. Midwifery began to make a comeback in the 1970s and 80s, embraced by middle-class white women who wanted more of a voice in their maternity care, including the possibility of delivering at home. Of the more than 15,000 midwives now certified in the U.S., the vast majority are certified nurse-midwives, or CNMs — registered nurses with an additional graduate degree who are trained to provide the full range of reproductive and maternity care, including delivering babies in hospital settings. After that, the definitions get fuzzy, said Ginger Breedlove, a Kansas-based CNM and consultant who is a past president of the American College of Nurse-Midwives (ACNM). There are “direct-entry midwives,” “certified professional midwives” and “lay midwives,” all of which are primarily associated with home births but who have different types of training and may or may not be licensed and regulated by a state. “It’s very confusing,” Breedlove said. “The title ‘midwife’ has multiple meanings” — which does not help efforts to promote the profession. In recent years, national groups such as the American Congress of Obstetricians and Gynecologists have become much more welcoming to nurse-midwives and more open to home births by licensed midwives. But many individual doctors remain wary, acknowledged Dartmouth University’s Timothy Fisher, who teaches OB-GYN and is the medical director of the Northern New England Perinatal Quality Improvement Network. One main reason “is the lack of exposure to midwife care during our training as OBs. Things that are foreign are scary, and we view them with skepticism,” Fisher said.